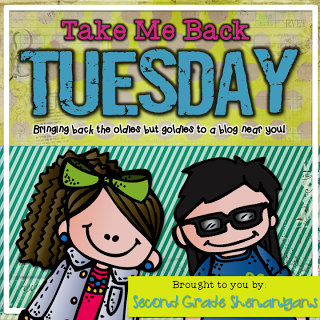 Today I am linking up with Second Grade Shenanigans for her Take Me Back Tuesday! What a great way to highlight some of your previous posts. Today, I thought I'd share a post I wrote back in September (so, not too long ago). This post is all about writing in Family Message Journals, which is one of my favorite ways to incorporate Writing! Today I want to share something with you that I feel very passionate about and that is Family Message Journals, or FMJ's for short! I was first introduced to FMJ's 6 years ago when I began teaching 4th grade. My grade level team had already been doing them and talked me into it. I'll be honest, I didn't love them right away. BUT, over the years, I have began to love Family Message Journals! Each Wednesday, students write in their FMJ to a family member, preferably a parent/guardian about a topic that we are studying. We do this during our Writer's Workshop time. They write a minimum of a paragraph about the given topic. Occasionally, I'll give them choices, but it's usually pre-selected. For example, this week the topic was Reconstruction because that's what we've been studying. After the write, I check their FMJ's for accuracy and completion and place a sticker on the page, which is my sign that I've checked it. 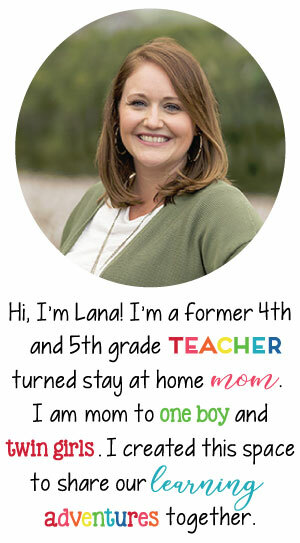 For homework, their parent/guardian writes them a note back. I keep FMJ's until Wednesday when we write in them and once they turn them in, I keep them until the next Wednesday. I've had some parents love it and hate it. I've even had some NOT to write back and for those few cases, I let the student write to someone in our school (me, assistant principal, guidance counselor, etc) and they write back instead of the parent. I've only had that happen twice in 6 years. It's a great way to see how well students understand the given topic. It supports parental/family involvement. I've found that many parents want to know more/do more and this is a great way to do that. It's a wonderful keepsake for parents to have a journal of the memories of their child at this age. WRITING! Kids practice summarizing and writing in a letter format weekly. I can jot down notes in it as needed. I send home a weekly newsletter with information, but if something comes up, I can make a note in the FMJ. Parents see the progression of their child's writing skills throughout the year. Of course, the teacher does too! NOW, here are some sample writing's from our FMJ's this week! Our topic was Reconstruction. Do any of you use Family Message Journals?